One thing I love is a good book full of mystery and suspense. It is rare to find a good one that keeps me guessing until the end. But, Keep Her Safe was just that for me. While I may have figured parts of the story out before the end, I did not get all the missing pieces. I love when I can't figure it all out and it makes me know it was extremely well written. 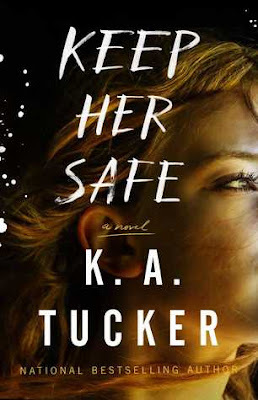 Keep Her Safe begins with Noah Marshall dealing with an enormous amount of grief and way more questions than answers after his mother, Jackie Marshall and Chief of the Austin Police Department's sudden death. And after all that Noah has been through when he gets a cryptic message from his mom he knows he has to follow her wishes. Gracie Richards (Wilkes) was born in Austin, TX but after the death of her father and the fallout from his involvement with drugs and being a dirty copy her mom fled to Tucson with Gracie and never looked back. Even though she can barely remember her dad, her mom is obsessed with Texas and keeping up with the drama in Austin, to the point that all she cares about is that and getting strung out. When Noah shows up on her trailer door step with lots of unanswered questions, the two are thrown together to see if they can figure out the mystery that drove both their parents to death. I love Noah and his southern gentleman charm and I love how you can feel his internal struggle with so many things throughout the book. Gracie is jaded and tough on the outside but still vulnerable too. They are the perfect combination for each other. The book is told in multiple points of view and in the past and present. Not many authors can pull of alternating two POV but to pull of four is pretty amazing. I really felt like I connected with all of the main characters, Noah and Gracie in the present and Abe and Jackie in the past. The book was a puzzle that I was working to figure out in my mind along with the characters. I enjoyed every second of it. Definitely one click this one, you won't be disappointed.